People have been attempting to find, or at least determine, the location of Eden. They want to saddle up and ride over to the Garden of Eden, but they are going to have a long trip for many reasons. For one thing, the garden was in Eden (Gen. 2:8), and Eden itself was a special place on Earth. You may be asking yourself why it would be so difficult to find Eden, since there are significant clues in Genesis. Notice that the description in Gen. 2:10-14 names the rivers in the present tense? Many creationists believe that several people wrote Genesis, and those were preserved by God until the Holy Spirit guided Moses to compile them. The usual explanation offered by biblical creationists regarding the impossibility of finding Eden is that the global Genesis Flood was catastrophic, and nothing would remain. Some people who are ignorant of the effects of the Flood use the names in Genesis as markers, but descendants of Noah would have likely named new rivers and such after the originals. I'll allow that I thought a study on the location of Eden seemed rather pointless to me because of the above explanation. However, the study turned out to be quite interesting. For example, geographical details about the rivers described in Genesis do not correspond with those seen today. Also, various geological processes and weather events tend to make some mighty big changes, especially over millennia. Eden scouts need to examine the evidence, both historical and present, before embarking on a venture that would be a colossal waste of time. The Bible includes only sparse geographic data in its descriptions of the pre-Flood world. This has led to widely divergent theories on the relationship between antediluvian and postdiluvian topography. The majority of place names that are repeated on both sides of the Flood are simple generic words describing common features of the pre- and post-Flood world. No modern candidate for the location of Eden fulfils the clear biblical conditions for the location such as one river splitting into four. This is because Eden is not placed in reference to modern geographical landmarks, but to pre-Flood topography. 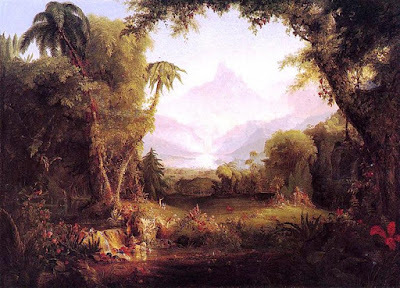 The goal of this study is to provide a thorough analysis and refutation of popular modern locations for Eden in order to better establish the idea that Eden was utterly destroyed by the Flood and that attempts to place Eden in a modern geographical context are misguided. This article is in two parts. To read the rest, click on "Where was Eden? Part 1—examining pre-Flood geographical details in the biblical record" and "Where was Eden? part 2: geological considerations—examining pre-Flood geographical details in the biblical record".